Melt the butter in a saute pan over medium heat. Add the carrots and saute until they are tender. 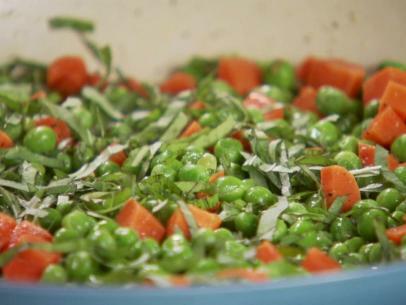 Add the peas and salt and pepper to taste and saute until they are thawed and cooked through. Stir in the chopped basil before serving.